The term “Renaissance Man” is heard less and less in today’s world where specialization is favored, but it was the perfect term to describe Brazilian football legend Socrates. The man’s expertise transcended the football pitch, where his technical abilities were on display, it was his voice and actions that found their way into Brazil’s hearts. After beginning his career at Botafogo SP while completing his medical studies, he was transferred to Corinthians where he spent the majority of his career. He boasted an impressive scoring rate with the club having 172 goals in 297 appearances and also led the team to Sao Paolo state titles in 1979, 1982, and 1983. 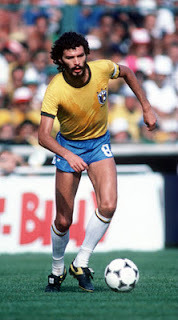 As the captain of the 1982 World Cup Selecao, Socrates was not the most gifted player, but it was his leadership, technical ability, and imagination that helped the squad become regarded as one of the best to ever play the beautiful game. Despite their loss in the second round to eventual winners Italy, Socrates’ squad played some of the most dynamic and exciting football the world has ever seen. 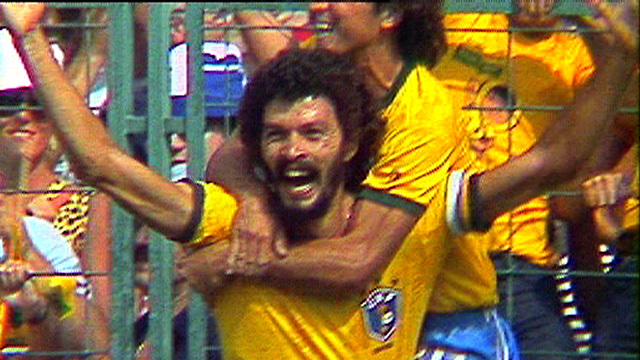 Socrates’ most important contributions to his club and country came away from the football pitch. Along with full-back Wladimir and with the consent of the Corinthians team president, Socrates organized the Corinthians’ Democracy. The ideological movement came during a time when the ruling military dictatorship’s philosophy of “Brazil - Love it Or Leave” was coming into question. The Corinthians’ Democracy allowed squad players to vote on the management of the club by a simple raise of the hand. The experiment proved to be successful with team members eventually overturning the practice of concentracão, where players were sequestered for the days leading up to matches. The most famous decision made by the Corinthians’ Democracy was when Corinthians players decided to print “Vote on the 15th” on the back of their jerseys to encourage Brazilians to vote in the 1982 elections. This marked the first multi-party democratic elections since the 1964 military coup. The Corinthians’ Democracy marked the first attempt at management through player votes, and the successful experiment has not been repeated since. Socrates continued his part through speaking with crowds at pro-democracy rallies, and engaging the Brazilian public through his writing and appearances, speaking not only about football, but politics and the economy as well. For all his gifts and talents, Socrates was still a flawed man. A notable heavy drinker and smoker, his eventual demise can be attributed to two vices that Socrates himself appeared to be at terms with. One of Socrates’ most famous quotes “They don’t want me to drink, smoke, or think, well, I drink, smoke, and think.” Socrates’ style, cool nature, and back heel trickery continue to inspire footballers and fans alike. The news of his death brought tributes from dignitaries such as Brazilian President Dilma Rousseff, footballers Rivaldo, Ronaldo, and Zico, and even NBA star Steve Nash. The praise he has received comes from people as diverse and multi-talented as the man they are praising, showing the true influence that Socrates has had. The happy ending to this sad story, Socrates’ beloved Corinthians faced off against local rivals Palmeiras in a game that could clinch the Brazilian League for Corinthians. The two sides played a tenacious 90 minutes, complete with a late match brawl, with both sides receiving red cards. Corinthians was able to hold out for a 0-0 draw that allowed them to clinch the Campeonato Brasiliero Serie A title.